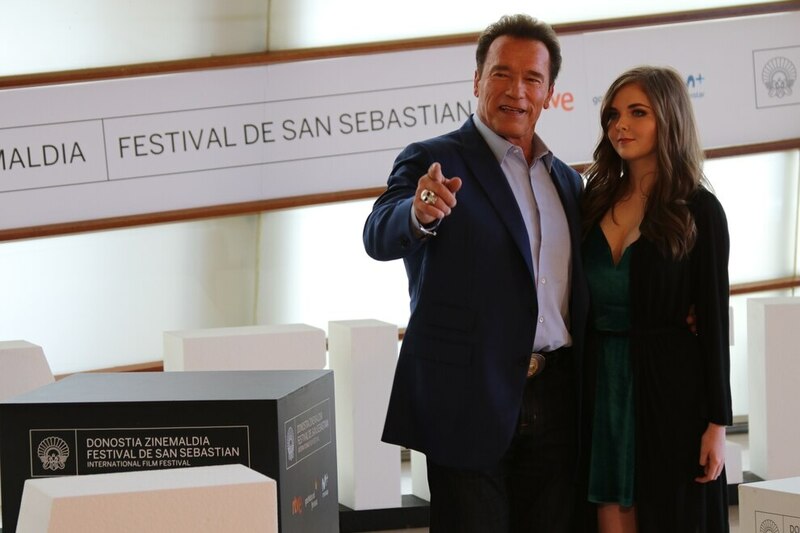 Shropshire singing sensation Maisy Kay caught up with Hollywood star Arnold Schwarzenegger in Spain. 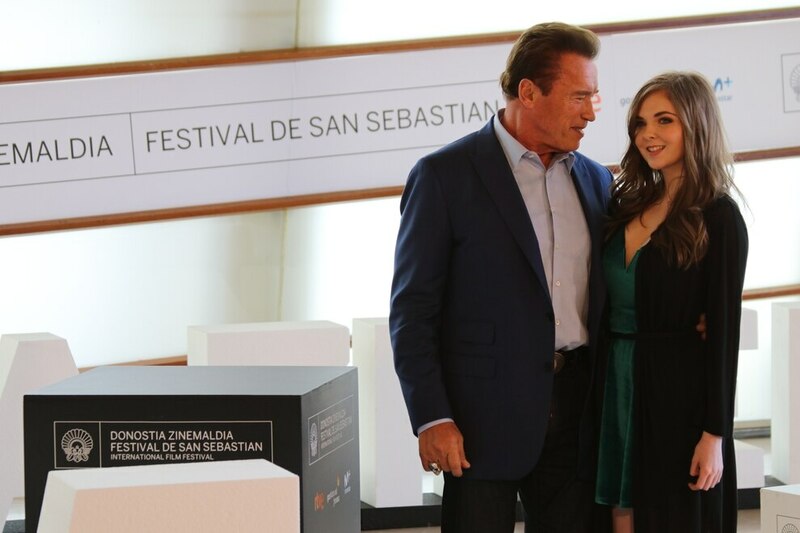 The 18-year-old was captured posing for the media after presenting Wonders of the Sea 3D at the San Sebastian International Film Festival, in Spain, on September 25. Maisy, from Claverley, near Bridgnorth, wrote the theme song Heart of the Ocean after being inspired by the cinematography and message Jean-Michel Cousteau and Arnold Schwarzenegger captured in the documentary film. It comes after she performed in front of a host of celebrities and VIP stars at the United Nations earlier in September. The documentary is directed by Arnold Schwarzenegger and Jean-Michel Cousteau – and she wrote the song after being inspired by the film's cinematography and message. Maisy also studied at Tettenhall College in Wolverhampton before moving to America at the age of 13. The film premiered this year at the Cannes Film Festival. Wonders of the Sea 3D is directed by oceanographer Jean-Michel Cousteau and Jean-Jacques Mantello and is produced by Arnold Schwarzenegger and Francois Mantello. The film is set for a staggered release worldwide starting this year. Director Jean-Michel Cousteau praised the teenage singer. He said: “The soundtrack is an important component in conveying the movie’s message. We are fortunate to have such beautiful music. When I heard Maisy’s song, I immediately knew it would be a great title song for the film.